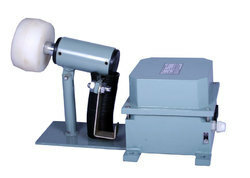 Leading Manufacturer of belt loading monitors from Surat. To decrease the pollution created by the dusty condition of the conveyor, Water spraying is done on the conveyor through the nozzles. when these nozzle are activated, Water is sprayed over the conveyor to settle down the dust. these nozzle are activated when the belt is in loaded condition. Hence, This belt loading monitor plays an important roll of ensuring the belt is running with the load and water is sprayed when the conveyor is running in loaded condition of the Belt.